IEP - What Is an Individual Education Program? Definition: The Individual Education Program Plan (IEP) is a written plan/program developed by the schools special education team with input from the parents and specifies the student's academic goals and the method to obtain these goals.The law (IDEA) prescribes that school districts bring together parents, students, general educators, and special educators to make important educational decisions with consensus from the team for students with disabilities, and those decisions will be reflected in the IEP. The IEP is required by the IDEIA (Individuals With Disabilities Education Improvement Act, 20014) the federal law designed to carry out the due process rights guaranteed by PL94-142. It is intended to spell out how the local education authority (LEA, usually the school district) will address each of the deficits or needs that have been identified in the Evaluation Report (ER). It lays out how the student's program will be provided, who will provide services, and where those services will be provided, designated to provide education in the Least Restrictive Environment (LRE). The IEP will also identify adaptations that will be provided to help the student succeed in the general education curriculum. It may also identify modifications, if the child needs to have the curriculum significantly changed or modified in order to guarantee success and that the student's educational needs are addressed. It will designate which services (i.e. speech pathology, physical therapy, and/or occupational therapy) the child's ER designates as needs. The plan also identifies the student's transition plan when the student becomes sixteen. The IEP is meant to be a collaborative effort, written by the whole IEP team, which includes the special education teacher, a representative of the district (LEA), a general education teacher, and the psychologist and/or any specialists who provide services, such as the speech language pathologist. Often the IEP is written before the meeting and provided to the parent at least a week before the meeting so the parent can request any changes before the meeting. At the meeting the IEP team is encouraged to modify, add or subtract any parts of the plan they feel together are necessary. The IEP will focus only on the areas that are affected by the disability(ies). 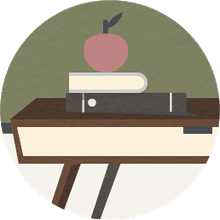 The IEP will provide a focus for the student’s learning and designate the time for the student to successfully complete the benchmark objectives on the way to mastering the IEP Goal. The IEP should reflect as much as possible what the student’s peers are learning, which provides an age-appropriate approximation of the general education curriculum. The IEP will identify supports and services the student needs for success. Also Known As: Individual Education Program or Individual Education Plan and is sometimes referred to as the Individual Education Program Plan.